Sony Computer Entertainment CEO Andrew House revealed the sales projections for the Playstation 4 at the company’s keynote at the Tokyo Game Show. House revealed that Sony are aiming to sell 5 million PS4 consoles worldwide by March 2014, by which date the console will be available in every major territory. To put this in perspective, the PlayStation 3 managed to sell 3.55 million units during the same launch period: November 2006 to March 2007. 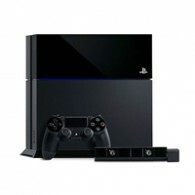 The PS4’s lower price tag should help shift units, but the target does seem a tad ambitious seeing as one of Sony’s major territories, Japan, will only get the PS4 on February 22nd 2014 – three months after the US and European markets. The current PS4 pre-order numbers are thought to be over 1 million units worldwide, giving Sony a good head-start to achieve its 5 million sales target.